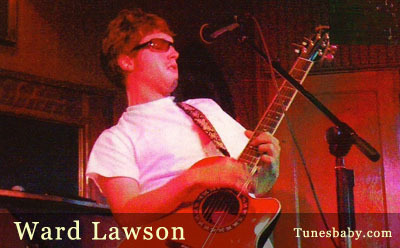 Ward Lawson is a twenty something singer songwriter from Dayton, Ohio. He has made three self released CD's of original music. The 2002 - 'Ward Lawson', the 2004 - 'Listen to Here', and the latest 2006 - 'Working on a Tangent'. Ward is currently a solo act, working the Cafe' circuit in Dayton and Cincinnati. He is interested in forming a band with like minded musicians - so please contact him if you are interested in working together.